The island with beautiful white sandy beaches, rich coral reefs and lush green forest is no less than a paradise and is the most popular of the Andaman islands. You can reach the Havelock Island from Port Blair By Government Operated Ferries and Private Cruises. You can stay in resorts or in camping sites which you can reserve through the Tourist Information Center in the Directorate of Tourism at Port Blair. Havelock Island has become a destination for honeymooners. The island has a lot of resorts by the beach to cater to the tourist, one of the most famous being the Symphony Palms Beach Resort located at Govindnagar Beach, Sea Shell Resort and Munjoh Ocean resort. You will find many diving sites for scuba diving, the endemic birds in the islands make it a paradise for bird-watchers and watching the elephants working in the forest and bathing and swimming in the nearby sea is a special attraction. Nongkhnum Island is the biggest river island in Meghalaya and the second biggest river island in Asia, after Majuli Island in Assam. Located about 14 Kms from Nongstoin, the district hqs. of West Khasi Hills. Travelling on foot from Nongstoin through the villages of Lawse, Mawduh and Mawthar, it takes about two and a half-hours to reach the Island. If you wish to have a roller coaster ride in the Bay of Bengal, Jambu Dwip is a perfect place for it. Jambu Dweep is a small island located just 8 km from Bakkhali. This island is a house to a great range of bird species, reptiles, and fish life. Though the land is not much explored, it is the home of a huge casuarinas grove. Boating in Jambu Dwip is the most adventurous and exciting thing that you will find in West Bengal. One can charter the entire boat at a nominal price of Rs. 1500 and enjoy the adventure. You can also stroll around the island and enjoy the exquisite beauty of nature and wildlife. You will watch red crabs, migratory birds, sailing boats, fishery projects near the island. The island submerges in water for some months of the year. The island is a famous fishing spot and also known for pure drinking water found on it. Jambu Dwip is at a driving distance of 132 km and one can drive down from Kolkata to Jambu Dwip in a car. 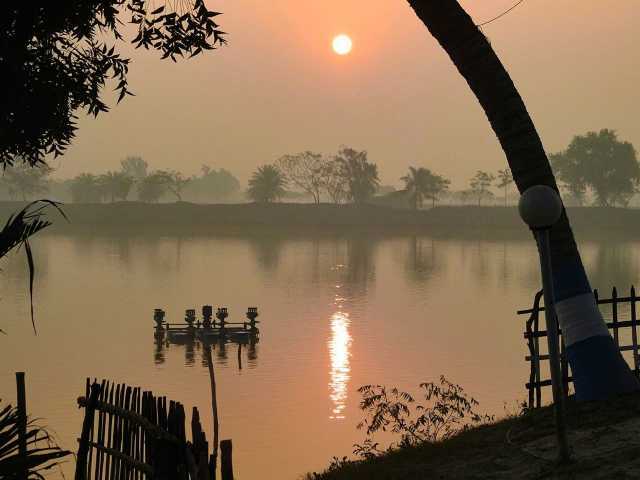 Henry's Island is the perfect romantic weekend gateways near Kolkata. 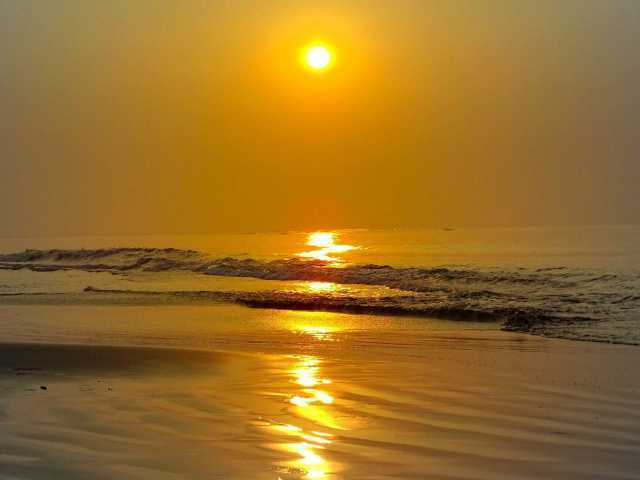 It gives you a perfect opportunity to relax looking at the sunset, away from the hustle and bustle of the Kolkata city. The Henry's Island has the most popular beach in the Sunder ban. It is quite comfortable to drive from Kolkata to Henry's Island in a car or a public transport bus. The major attractions in Henry's Island include the coastline, the watch tower, lakes and bamboo bridge. You can climb the watch tower and get the complete view of the island. The view is panoramic and breathtaking. You can also walk and drive down the coastline of the beach and spend some great moments with your love. The island has also lakes namely Bheris dedicated to pisciculture. Fishing is the major occupation carried in Henry's Island and watching them fishing is itself an interesting thing that you will enjoy looking at. Hotels are also available in the watchtower and near the island. Tsunami Island is a small island on the delta of Tarkarli river which has a beautiful beach and exemplary scenic beauty. The small piece of land is under the misconception of being formed due to Tsunami waves and it holds a prominent place on the list of tourists due to the name. One has to take up a boat ride to reach this serene and beautiful place. At Tsunami island you can enjoy various water sports and adventure sports such as Banana Ride, Bumper ride, jet ski, speed boat, Para Sailing and a lot more. There are many worth visiting places on this island such as crocodile point and seagull bird point. You can even have mouthwatering local food available at various stalls on the beach. You can take strolls, enjoy sports, click pictures and have quality time with your friends and family at this place which is worth a visit when you are at Tarkarli. Defined by its clear beaches and beatiful underwater corals, the Jolly Buot Island is a joy to visit. Virtually untouched by man, this island has no inhabitants. Tourists are supposed to carry their required items. Since this is a No Plastic Zone, visitors are prohibhited from carring any plastic items. The ferry ships reach and depart Jolly Buoy Island together. The waters of the beach are crystal clear, providing good visibility of the depths to the naked eye. The sand is golden in colour and the contrast of it the deep blue water makes up an exquisite image. Scuba Diving and Snorkelling are immensely popular here due to extoic species of fish and corals. The glass-bottom boat rides are also popular for people who want to view the corals without geting into the water. The Island is covered with thick forest cover, majority of which is virgin and unexplored. Note that the Jolly Buoy Island is not open for tourists for throughout the year. Umananda Island is a river island in the midst of river Brahmaputra flowing through the city of Guwahati in Assam. It is the smallest inhabited river island in the world. The British named the island Peacock Island because it resembled a peacock’s feathers splayed in full view. A 10 minute ferry ride from the river banks of the busy city takes you to this island of wonder. When you reach there, time becomes an alien concept. The motor boats are available everyday from 7am to 5pm. Ross Island is 15 minutes ferry ride away from Port Blair. This beautiful and peaceful island is full of historic structures and attracts huge number of tourists and historians which at the first sight seems like a abandoned place. You will be mesmerized by the scenic beauty and greeted by deer and peacocks and rabbits. The food here regional influence and hence a must try. You can see remnants of an opulent past in the ruins of the church, swimming pool and the chief commissioner&#39;s residence with its huge gardens and grand ballrooms which were home to Britishers for 80 years. And now Indian Navy manage a cemetery and a small museum. You can enjoy a quaint walk and some quality time with your loved ones. If you want to enjoy more time on this island than usually planned by the ferry drivers, ask them to pick you up while going back to Port Blair from North Bay Island. There are many Tourist Spot in Sundarban. Tin Kona Island, literally means three cornered Island, is another popular spot for wildlife spotting in Sundarbans. Tin Kona Island is well known for deer and tiger, where one can come across the real wildlife. This island has an enchanting, but wild beauty merged with wild forests and estuaries. Dublar Char, a beautiful island known for its picturesque scenes, is famous for fishing and is a place for fishermen with abundant of fish fauna. One can enjoy the fishing here and have a first hand experience of this fun filled activity.The Island has all the natural beauty of any other places of the world renowned Islands. On the eastern side of this island, River Passur flows, while on the western side River Shibsha. In addition, this island is known for its beautiful views. A quaint island in the waters of Kumarakom is the artistic Pathiramanal island, meaning "the sands of night". The island is a haven for bird watchers to catch a glimpse of unique varieties of birds. This backwaters hub is a favoured stop by destination from the mainland with a memorable boat ride. The amazing water front, ambient backwaters, calm coconut groves coupled with the native sky residents of the islet will leave you speechless. The scenic beauty surrounding the island is stunning and a walk is sufficient to take in all the views- the island is so small. It is a popular stop by station during a backwater cruise of the vast network of criss crossed rivers and lagoons. This is the perfect chance to explore the waterside paradise of birds.